Newly launched this spring, Paul & Joe's new Gel Foundation SPF25 PA++ is described as a unique 'jelly-like' foundation composed of 80% water, that provides maximum moisture and superior coverage for a glowing fresh and flawless finish. Plumped up with marine collagen, it supposedly feels like a cool drink of water for the skin, leaving it looking bright, firm and hydrated. Intrigued by the gel formula, I purchased this from B-Glowing with the help of a 15% discount code. 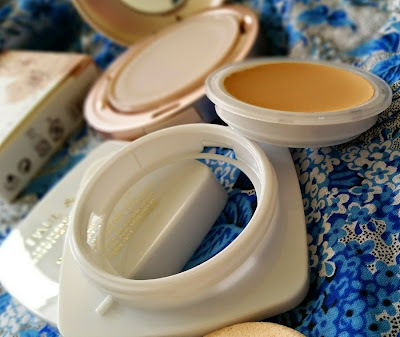 It retails at US$32 for the foundation refill and US$18 for the case. 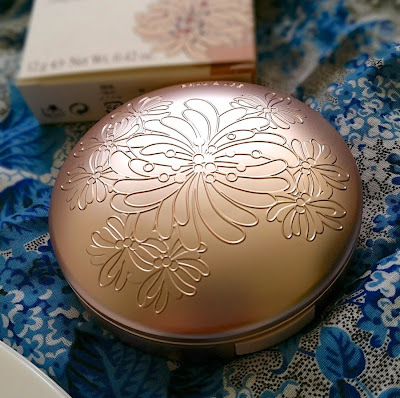 The pale rose gold metal case embossed with the brand's signature chrysanthemum motif is solidly constructed and but still lightweight enough to be conveniently portable. The foundation refill comes in a white plastic case and can be easily popped out from the lower plastic layer. It has a rubber rim to help it fit securely into the foundation case. Pressing the refill pan into the case was pretty easy as well, although one has to take care not to touch the surface of the foundation, which has no protective seal. If you are not using the foundation for an extended period of time, it is advised that you keep the foundation in the screw-top plastic case instead. The inner tray for holding the sponge is a thoughtful hygienic feature but it does not close securely whereas most Korean cushion foundation cases have inner trays/covers that lock in to prevent the loss of moisture. The foundation has a faint mesh pattern on the surface, so it's easy to tell if it has been used. The ingredients list reveals a multitude of skin-beneficial ingredients such as camellia sinensis leaf extract, hydrolyzed conchiolin protein, oyster extract, sanguisorba officinalis (burnet) root extract, soluble collagen, tocopherol and zostera marina extract. It does contain methylparaben, fragrance and alcohol but as these are all pretty far down the list, they are in relatively minor quantities. Of the 5 shades available, I picked #10, which is the lightest shade and suitable for my MAC NC20 skintone. There is indeed a cool, refreshing feeling on the skin when applied, which makes this good for hot summer days. I wasn't too impressed with the finish the first time I tried it, applied with the included sponge over NARS makeup primer, as it showed a tendency towards patchiness. My second try (shown in these pics) was more successful, when I skipped primer and applied this over skin that had only Dr Dennis Gross Ferulic Acid Plus Retinol Brightening Solution on it. 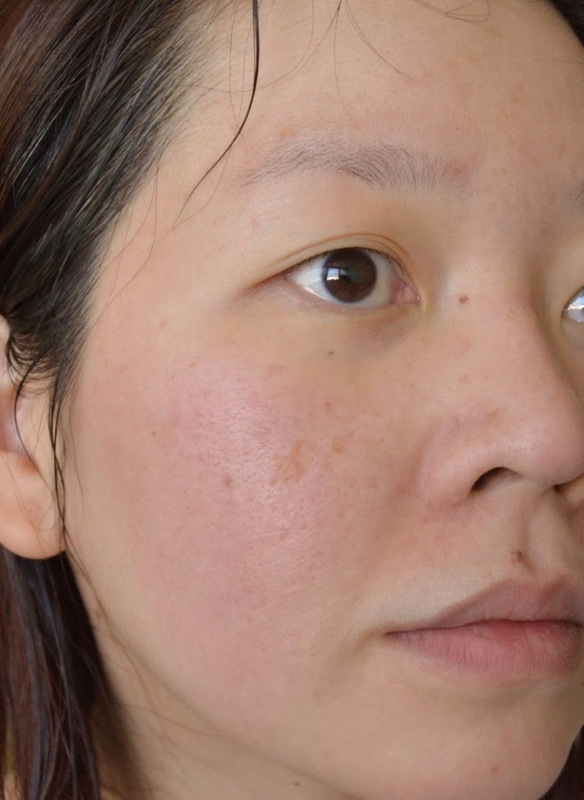 First, below is a pic of my bare skin so you can see the difference with the finished look. 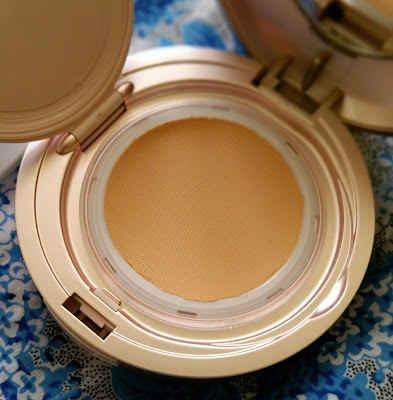 The level of coverage is light to medium, with decent coverage of skin redness and some smoothening out of the pores. 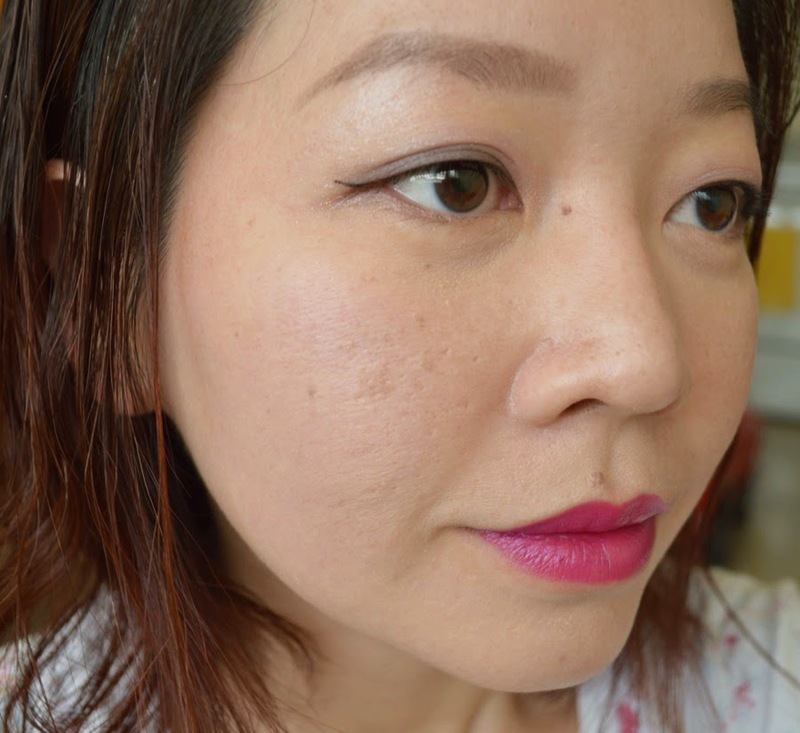 The gel formula does not seem to lend itself well to layering, so a light hand is necessary otherwise it tends to look cakey and patchy. 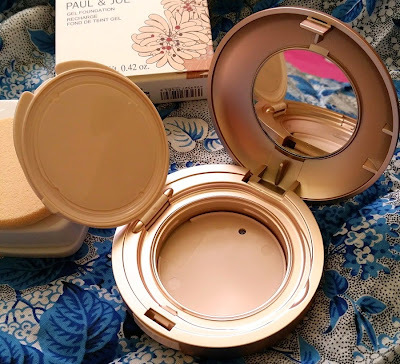 I tried to apply this with Becca's The One Perfecting Brush, but the brush could not pick up the foundation well, so I ended up using it to buff the foundation after applying it with the sponge, giving it a more flawless finish. On my combination skin, it requires blotting of the T-zone after about three hours. I did not notice any oxidisation. 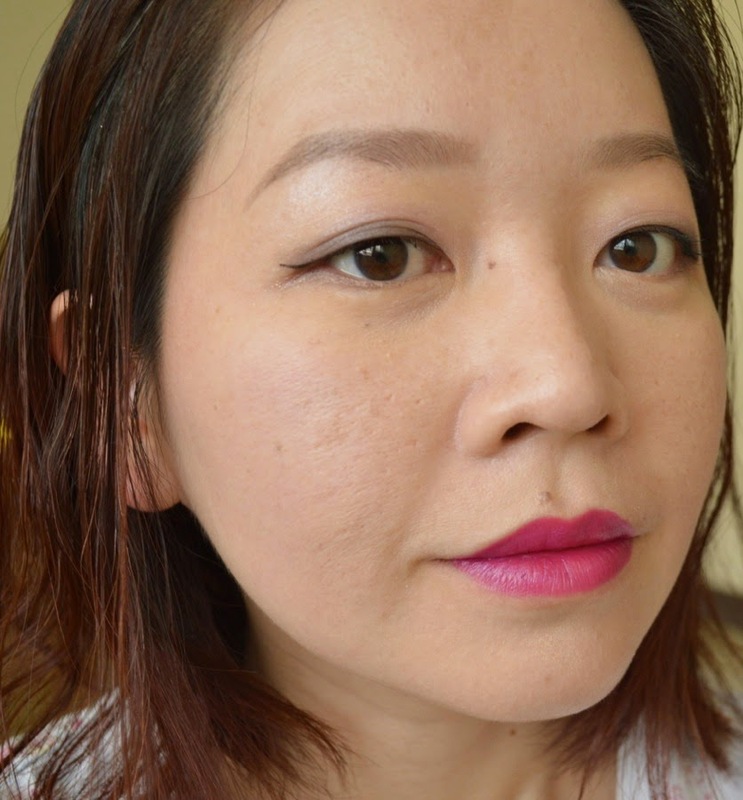 The soft matte finish does feel lightweight, without looking artificially mask-like. Overall, I don't regret purchasing this but I wouldn't say it's Holy Grail material as it takes some work and experimenting to make this look good. 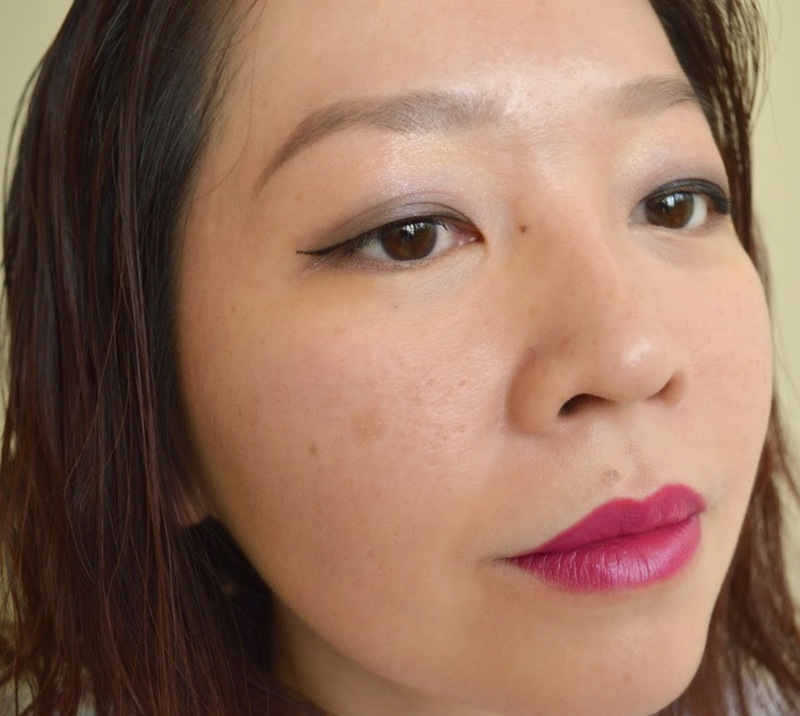 For this look, I'm wearing Suqqu Blend Color Eyeshadow EX25 Haruhinata, the only limited edition palette out of the three eyeshadow quads released for Spring 2015. All of the four shades apply on the sheer side without any complexity, so it's not terribly exciting. It's fine if you like light, translucent pastels with refined, subtle shimmer and it's easy to see how this would appeal to Japanese ladies who prefer a more understated look, but it's not worth going out of your way to hunt this down simply for the LE or Suqqu factor. You can see swatches on Wondegondigo and Color Me Loud. Paul & Joe has updated its website with the upcoming Midnight Sangria collection for summer 2015, which is launching in May. 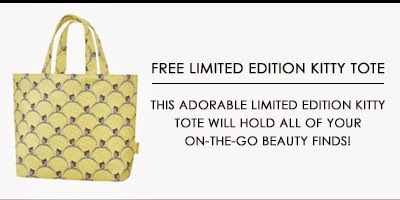 B-Glowing is currently offering this cute kitty tote with any Paul & Joe purchase while Beautyhabit.com has a blue floral pouch with $50 purchase. I love both retailers for their excellent customer service, fast shipping, abundant GWP offers and best of all, no sales tax for Illinois (it's 9% where I live). Looking good! 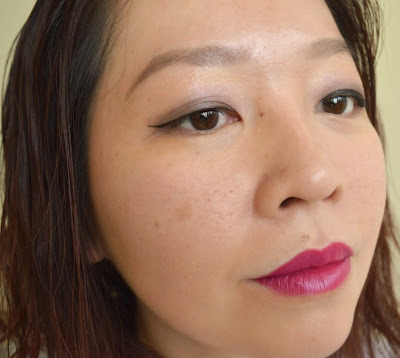 Lovely FOTD with bright lips and purple shimmery eyeshadow. The packaging is so pretty... 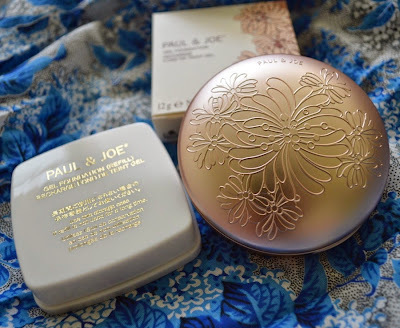 I used to love Paul & Joe eye glosses and loose powder. I haven't bought their products in a long while but always enjoy looking at their new releases because of their lovely packaging. thank you! I have a soft spot for Paul & Joe thanks to their whimsical packaging. They do tend to recycle some of their products though, like releasing new eye glosses every couple of years albeit in different shades. In recent months, I've come to like Suqqu more, so that's where most of my money has been going each season. That's really nice coverage and finish on the P&J! I like how gel type foundations look, but always surprised how quickly I go through the product. I wonder if its bc I always use the enclosed sponge. Compact cream and gel foundations always seem to finish much faster compared to powders and liquids. I suppose it's because there is relatively little product to begin with, and you use quite a bit of it for each application. 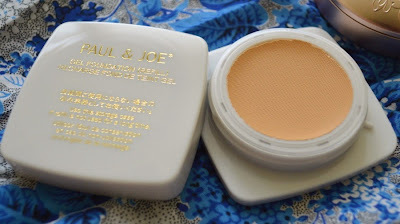 The Paul & Joe foundation contains 12g, and doesn't look like it could last more than 2 or 3 months if used daily. Thanks for the kind comment and yes, I always need lots of eyeliner!